Tags: 2020VQ, community, Fundraising, guest blogger, Inspiration, outdoors, Outreach, Randy, Support, Team 2020. 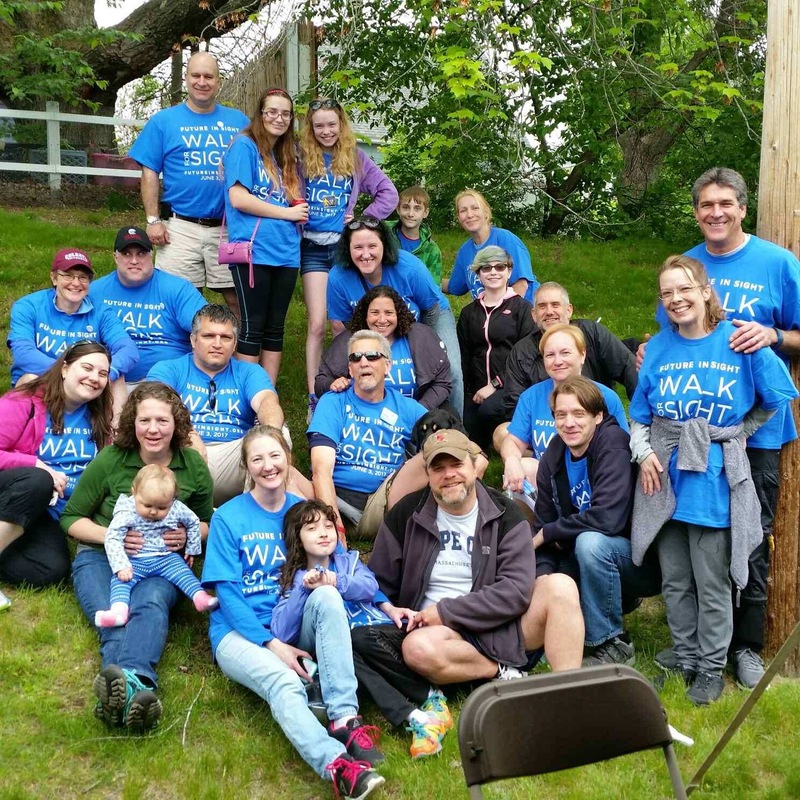 It was a cool, partly cloudy morning on Saturday, June 3 when the 2020 Vision Quest team gathered together in Concord, NH with 400+ other walkers for the 14th Annual Walk for Sight. 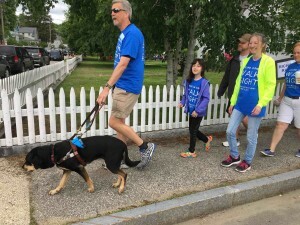 This was my first experience participating at this yearly event hosted by Future in Sight (formerly New Hampshire Association for the Blind), one of the two organizations that 2020 Vision Quest supports with its fundraising and awareness efforts. People all around me were reconnecting with old friends and greeting new ones. The crowd was a sea of blue “Walk for Sight” tee-shirts and the air buzzed with anticipation. I did some reconnecting myself with some folks I’d met before and was introduced to new people, including our team captain, Alex, who was so inspired a few years ago when Randy spoke at her elementary school that she and her parents have participated in the walk ever since. This year, Alex served as the team’s captain and did a bang-up job! As it hit 11 a.m., we heard from David Morgan, President and CEO of Future in Sight. He announced that there were more walkers this year than in any of the previous years. He spoke about the organization’s name change and how it reflected its broadening scope of service — beyond just New Hampshire to other states in New England, and to people with a wide range of visual impairment. Future in Sight has served twice as many clients in need in the last year — 2,200 — than it did in its previous year. However, he said, there are still more than 28,000 people with visual impairment in New Hampshire alone. Future in Sight’s mission is to reach ever further to serve as much of this community as they can. Alex & Autumn’s 2020 Vision Quest team at the Walk for Sight 2017! Randy Pierce also spoke, building off David’s words; he encouraged everyone in the crowd to not just support this mission today, but throughout the year. He urged folks to share their experiences with others, especially on social media, and spread the word to those who can support in order to extend the reach of Future in Sight to better help those in need. After these inspirational words, we were off! It took about an hour to do the 3k circuit through the city. The celebratory feeling in the air was catching. Volunteer staff were stationed at many intersections to ensure safe crossing of the walkers. I heard Randy make sure to thank as many volunteers as he could and I started following his example, trying to do my best to spread around the good feeling and cheer as a part of this community. 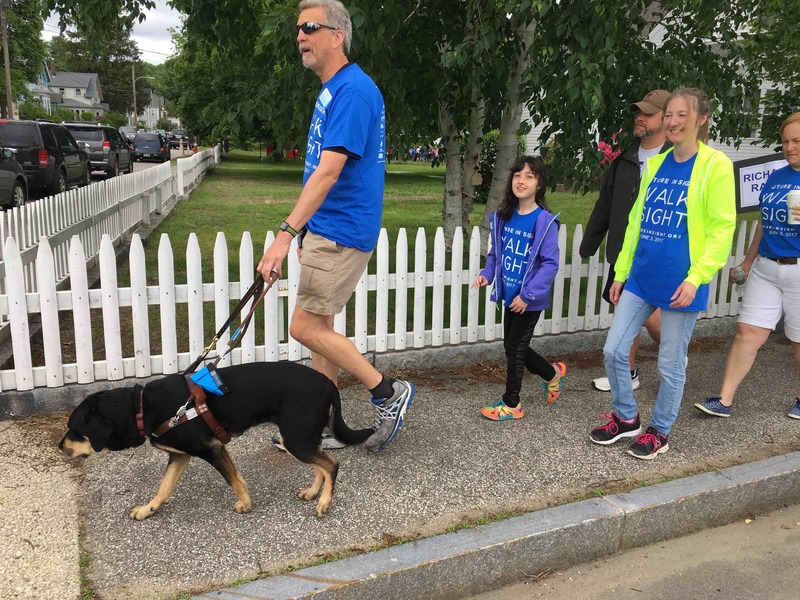 A new component to the event this year was called “Walk in My Shoes.” This activity allowed adult walkers to experience what it’s like to move through the city as a visually impaired pedestrian by using blindfolds and simulation glasses, with the help of trained sighted guides. It was fascinating to see walkers go through this experience and listen to them described their changed perceptions, such as disorientation and heightened awareness of sounds around them. It was an amazing and humbling experience, being a part of this diverse and welcoming community all walking through the streets of Concord. I’m happy to share my experience with you and I urge you to spread the word of Future in Sight’s mission far and wide!